These oatmeal raisin cookies are perfect for those who are looking for an alternative to processed sugars and flour. I love these cookies because they’re MOSTLY guilt free. Almond flour is great because it is gluten-free. The best part is that it is very versatile. The cookies had such a lovely, nutty flavor. I can’t wait until I experiment almond flour on my cake recipes. I have researched coconut sugar and while it is better than processed sugar, it is still sugar. However, I do like to use less sugar in all of my baking. These cookies came out AMAZING! I am my biggest critic and I honestly couldn’t stop eating these cookies! I hope you enjoy them as much as I did. Line a cookie sheet with parchment paper or lightly spray it if you don’t have parchment paper. In a large bowl, cream the coconut sugar and butter for about five minutes. While that’s mixing, in medium bowl, add the almond flour, baking powder, sea salt, cinnamon, and rolled oats and mix them. You can just give them a quick whisk. Add the coconut oil to the butter and coconut sugar mix. You can beat it for about 2 minutes; adding the vanilla. After adding the vanilla, gently fold in the eggs. It’s important you don’t over mix the eggs. After folding in most of the eggs, add the dry almond flour mix to the wet ingredients. Finally, gently fold the raisins into the batter until everything is mixed evenly. Using an ice cream scoop, place the cookie batter into 12 cookies. Bake them for about 13-14 minutes. I personally like them slightly under baked. Repeat until the cookie batter is done. This recipe yields about 16 cookies. Thanks for reading my blog and Happy Baking! Hi guys! I’m back with a really tasty cupcake recipe of mine. Two of my favorite things in this world are LEMONS and COCONUT. Especially during the summer months. This recipe is so good because the cupcakes come out really light and fluffy. Top is with a whipped coconut buttercream-HEAVEN? Every single time I make these cupcakes, people dance with joy. Me too! Thanks for reading and Happy Baking! basil leaves (mashed with sugar)? Place baking racket in the middle. Line a 24 cupcake pan with cupcake liners. In electric stand mixer, with a paddle attachment, beat the butter and sugar for about five minutes. In a large mixing bowl, combine the flour, cornstarch, baking powder, and salt. Sift the ingredients two times. In a small bowl, combine the milk, yogurt, and lemon juice. Make sure these are really cold so the milk does not curd. It might curd some, which is fine. Its like your own version of buttermilk. Starting and ending with the flour (dry ingredients), add to the creamed butter. Beat each time for about 1 minute. In between your wonderful mixing, In a cup with a spout(I use a measuring cup), Crack the room temperature eggs. one at a time. Add the vanilla extract. Add the eggs one a time while beating them into the batter for 1 minute at a time. Lastly, fold in the lemon zest. Add into a saucepan with 2 cups of water. Boil for 30 minutes. Cool completely. Place the mixing bowl and whisk attachment in the freezer for about 2-3. Frosting whips better when the attachments are cold. Totally optional though. Cream the butter for about five minutes. SLOWLY add the confectioners sugar. Combine the coconut milk and coconut and vanilla extract. Add to the frosting. Beat until nice and fluffy! YAY! Wait until the cupcakes are completely cooled down to pipe frosting on cupcakes. YASSSS!! I know you are probably thinking “Celery and papaya juice? YUCK!” If not, cool. But I promise it is delicious and most importantly, a natural way to relieve constipation. 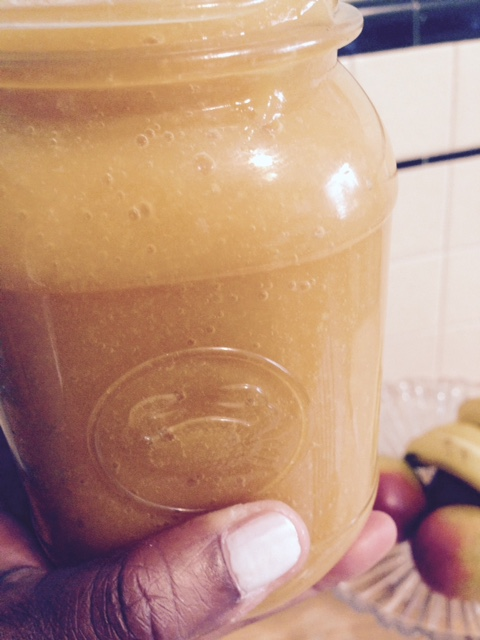 This juice recipe was given to me by a doctor when I was aat the Dominican Republic. In the spring of 2011, I withdrew from college because I was very sick. I was suffering from extreme abdominal pain and constipation. My parents and I were tired of seeing doctors in the United States. I have seen about three or four gastroenterologists. My parents sent me to the Dominican Republic for two months. I think that was probably the best thing that I could have done.